Kathy was a Project Manager in the Healthcare and Internet Technology industry for her professional career. She and husband, Mike, traveled extensively for their employers which meant that there were times when they had to find someone to take care of their three shelties, Gabe, Captain and Whisky and their cat, Ali. That was not always an easy task as they are particular about the care of their beloved "children". As Kathy contemplated retirement, Mike encouraged her to follow her passion - working with animals. Camp Bow Wow of Lawrence was born in June of 2015. Kathy and Mike have two children, two children "in-law", one human granddaughter, five grandhorses, five granddogs, ten grandcats and a grandrabbit. Both Kathy and Mike have served as Governors for the Indiana South District of Optimist International. 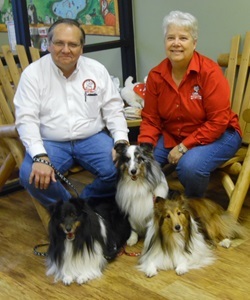 Kathy also serves on the board of the Central Indiana Shetland Sheepdog Club and chairs the specialty club's AKC obedience and rally trials each July. Kathy and Gabe recently joined Love on a Leash as a Therapy Dog team visiting nursing homes and schools. So why Camp Bow Wow? The simple answer is that traditional kennels can be stressful, and they wanted to offer an an alternative that was safe and fun. The pack play environment gives the dogs a chance to interact and run off their energy under the watchful eye of camp counselors certified in Pet CPR and Emergency care, animal behavior and play yard management. 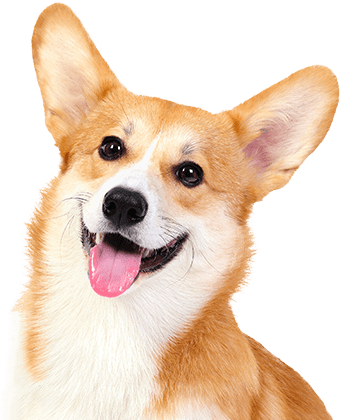 And, for those pets who cannot come to Camp, the in-home pet care service can offer the same loving and compassionate care in the pets' own home.